Durlston is a magnificent 280-acre countryside park located 1 mile from Swanage on the heritage coast of Dorset. It is owned and managed by Dorset County Council and has a rich variety of landscapes and habitats including sea-cliffs, limestone downlands, meadows, hedgerows and woodlands. 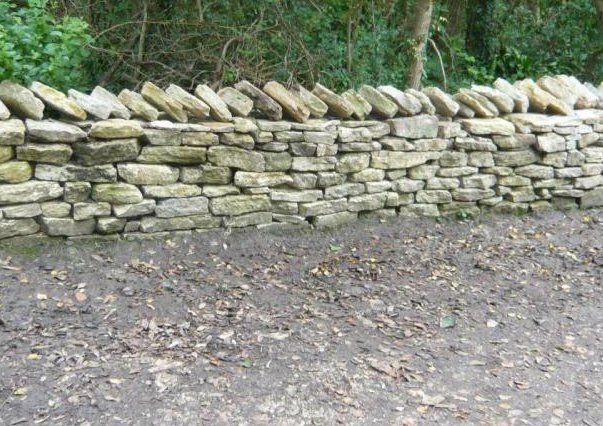 OCV has been to Durlston on bank holiday residential trips in recent years, helping with the maintenance of the many miles of dry-stone walls found throughout the park. Durlston is situated at the eastern-most tip of the Jurassic Coast World Heritage Site, noted for its spectacular geology. The Portland limestone and Purbeck Beds seen near Swanage date back from the Jurassic and Cretaceous periods, 140 to 130 million years ago. The coast is particularly renowned for its fossils: reptiles, mammals, turtles and even dinosaur footprints have been found near Durlston Bay. Durlston has an incredibly diverse wildlife, largely thanks to the many habitats found within the park and careful conservation over the past 35 years. 33 species of breeding butterflies, over 250 species of bird, 500 wildflowers, 500 moths and thousands of invertebrates have been recorded at the site. A small selection of the flora that OCV have seen at the site whilst on a task include field scabious, birds-foot trefoil, British yellowhead, burnet saxifrage, and varieties of achillea. A variety of butterflies and bees were seen feeding on these and other flora. The Country Park is designated as a Special Area of Conservation, a Site of Special Scientific Interest, an Area of Outstanding Natural Beauty and a National Nature Reserve. The coastal waters near the park also form part of a Marine Research Area. The Durlston area has a long history of settlement and human activity. The area was farmed a least from medieval times when farmers cleared much of the woods for arable land and pastures. The Purbeck and Portland stones were quarried from the cliffs from Roman times until the 19th century. Many features of this industry are still visible in the landscape today. George Burt, a wealthy Victorian entrepreneur, bought the estate in 1863 and had Durlston Castle built in 1887. He shaped the estate in many ways, most notably with creations such as the Great Globe, a large globe built of 40 tons of Portland stone. Durlston Country Park is managed both for public enjoyment and to protect wildlife. The site has a Visitor Centre with information displays and has recently been granted Heritage Lottery Fund money for the �Durlston Project� to restore Durlston Castle to its former glory. OCV have assisted at Durlston through construction and maintenance of the dry-stone walls that not only provide picturesque field boundaries but also provide vital shelter and homes for a wide variety of invertebrates, flora, fauna and birds. We have also constructed fences and removed the poisonous ragwort from meadows that are either cut for hay or grazed by cattle in order to provide vital conservation management.